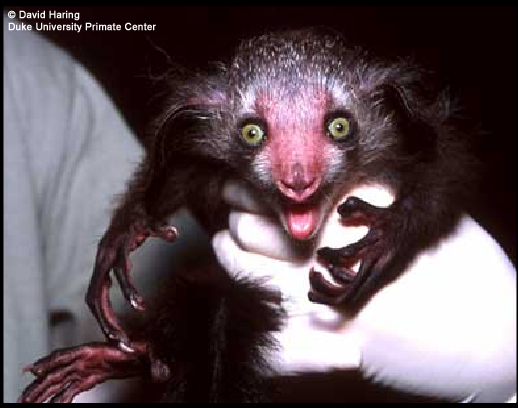 The Aye-aye is one of the world's most bizarre creatures with its long twig-like middle finger, huge eyes, rat-like teeth, and large bat-like ears. This nocturnal lemur, first classified as a rodent, uses its long middle finger as a tool for finding insects. After tapping the tree bark, it uses its sensitive hearing to detect the movement of insect larvae. 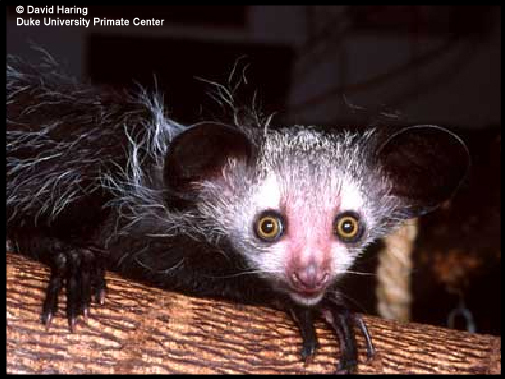 Studies have found that the aye-aye is capable of sensing insect movement at a depth of 12 feet. 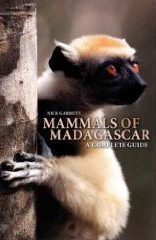 Sadly this odd creature is endangered by both habitat destruction in northeastern Madagascar and widespread persecution by native Malagasy as an harbinger of bad luck. ADW: Daubentonia madagascariensis: Information -- Daubentonia madagascariensis (aye-aye). ... Family: Daubentoniidae. Genus: Daubentonia. 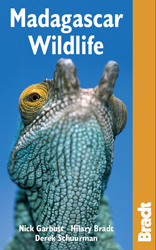 IUCN Red List of Threatened Species: Daubentonia madagascariensis -- Daubentonia madagascariensis. Taxonomy. Kingdom, ANIMALIA. ... Citation: Ganzhorn, J.